Forum - |INC| Gaming Clan • View topic - So who plays? Just got into WoW in the past couple of days. I tried it a while ago and hated it - no idea why because I'm really enjoying it this time. I'm still on the starter edition and am almost at 20 on my main so will probably end up buying it soon. I was just wondering if anyone played and if so what realm they were on? Seems the chat about this game in INC died out a long time ago! Not played it for a long long time. I forgot the login to my original account so made a new one and could barely get past level 5 without losing interest. I played for a little while today, and this is what I did. Destroyed everything I had and just started swimming. I currently play wow alot, although nowhere near as much as I uses too. The new expansion(mop) is by far the best expansion they have ever done. The down side is you have to go through all the not so good ones to get there (85-90). Its well worth checking it out though. Personally I raid and pvp and that's it but there are alot of other options. Just curious, what realm was the old INC guild based on ? So you would suggest that MoP is better than BC? I mean i cant give an opinion because i havent played MoP but BC had always been the greatest expansion? Easily, and I don't say that lightly. Before mop, BC was the best hands down mainly because of changes and raid difficulty. With mop they can please everyone (I.e LFR, Random BGs etc). Its definately working looking into if you like mmmo's. Started playing again the past 3 or so days, just hit 50 on my Blood Elf Assassination Rogue! I've been neglecting my girlfriend and she isn't too happy. CoSK#2499 is my Battle net ID if anyone wants to add me. Currently playing on Thunderhorn server under the guild Crux. 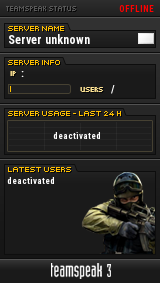 Don't see a real reason for me to migrate over to the INC server as of yet, due to my level. I play wow pretty much constant, have 3 90s geared in purple's and i'm the main tank for my current guild. tried the trial a while back and was bored almost the whole time I was playing - haven't even had a flicker of interest since.